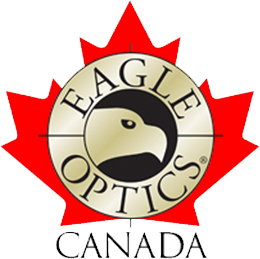 Eagle Optics USA has decided to wind down business and discontinue the production of Eagle Optics products; as a result, we at Eagle Optics Canada (EagleOptics.ca) will do the same and wind down our online store. We’d like to thank our customers and partners; without them, we could not have been successful in our support of the birding community and bird conservation these many years! If you are looking for binoculars or spotting scopes, please take the time to call or visit our physical location at Wild Birds Unlimited in Guelph (519-821-2473 or email wellbirds@bellnet.ca) or online at guelph.wbu.com, where we will happily be continuing business as usual, and offering a range of other optics brands for sale. Once the repair is complete, Vortex Canada will ship your optics back to you at no charge. Please note that broken or damaged accessories (eyecups, lens covers, neck straps), theft or loss of a product are not covered under the warranty. As well, the warranty does not cover deliberate damage, or damage caused by unauthorized repair, modifications or disassembly of the binocular.